HARDOX can be welded, bent, cut and machined using run-of-the-mill techniques and tools. Please review the pdf's below for additional information on working with HARDOX..
HARDOX can be welded, bent, cut and machined using run-of-the-mill techniques and tools. You get the superior performance of HARDOX without having to invest in special equipment and training. 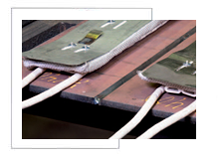 The right preheat and interpass temperature for each welding situation will optimize the result. Any conventional welding method can be used for welding these steels to any type of weldable steel. 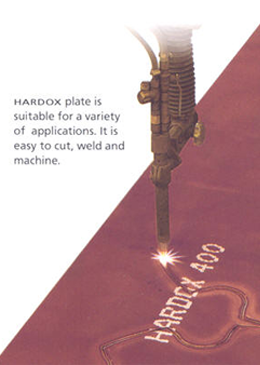 HARDOX wear plate can very well be cut using both cold and thermal cutting methods. HARDOX is eminently well suited for cold bending. HARDOX can be machined with high speed steel or cemented carbide tools. The right preheat and interpass temperature is important in order to avoid hydrogen cracking. The right preheat and interpass temperature is important in order to avoid hydrogen cracking. A unique combination of alloying elements optimizes the mechanical properties of Hardox. This combination governs the preheat and interpass temperature of the steel during welding, and can be used to calculate the carbon equivalent value. 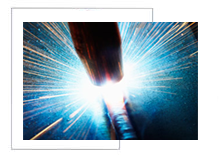 Any conventional welding method can be used for welding these steels to any type of weldable steel. The information pdf file in the summary column is aimed at simplifying, improving and boosting the efficiency of the welding process. It offers good advice on preheat and interpass temperatures, heat input, welding consumables, shielding gas and a great deal more. We want every user to take advantage of the full benefits of the unique properties of Hardox. Gas cutting of HARDOX plate is easy. As in all thermal cutting, a heat-affected zone occurs at the cut surface. Thick HARDOX 400/450/500 should be preheated before gas cutting. For producing smaller parts or to minimize hardness reduction in the zone adjacent to the cut surface, abrasive water-jet cutting or laser cutting may be good alternatives to gas cutting. 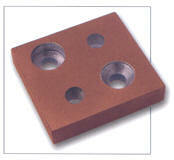 In abrasive water-jet cutting, which is a cold- working process, the material will lose none of its hardness. 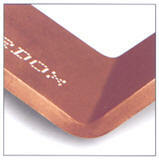 In laser cutting, the heat-affected zone is very small. Purity, flatness and consistent quality make HARDOX plate well suited for press and roll bending. The pdf file in the summary column shows examples of recommended minimum values for free bending of plate of different thicknesses and with different die openings. As a general rule, thinner plate can be bent to smaller radius. The plate can be bent to a smaller radius transverse to the direction of rolling than in the direction of rolling. HARDOX 400, HARDOX 450 and HARDOX 500 can be machined in all machine tools, using tools with index able inserts and in a stable, vibration- free set-up. HARDOX plate can also be machined in a stable radial drilling machine. Rigid HSS-Co drills must be used for drilling. 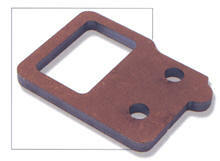 Using appropriate tools, HARDOX plate can also be spot-faced and counterbored. Machining of HARDOX plate may produce long chips, particularly in turning. This is due to the high purity of the plate.